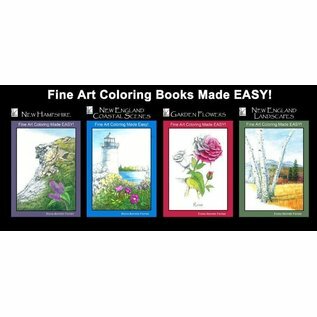 Welcome to "Fine Art Coloring Made EASY!" 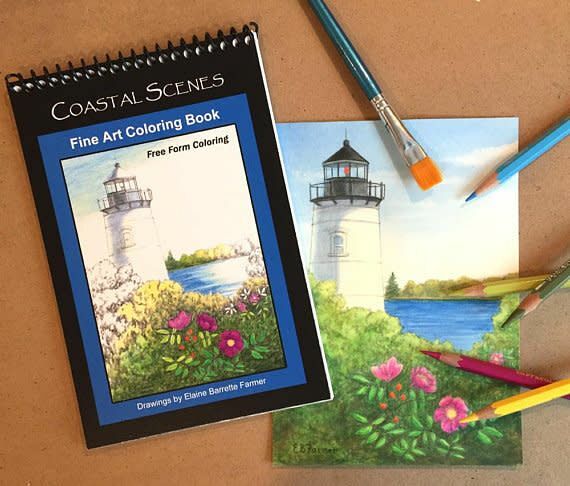 Using colored pencils, ink pens or watercolor, the colorist creates a masterful piece of art that can proudly be framed and shared. Made in New Hampshire. I originally created these drawings to use in an Art Therapy program for Veterans that I conduct at my local VA Center, which led to the compilation of these 5" x 7" travel size coloring books. Each book includes sixteen gray scale drawings printed on heavy 100lb. cover stock, spiral bound and perforated for easy removal and ready for standard size framing. Color versions are printed on the back cover and color suggestions are printed on the back of each card. 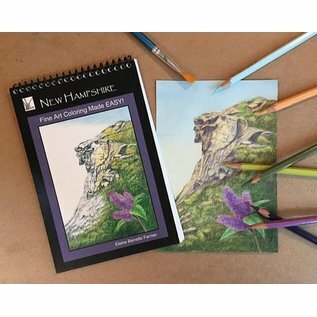 New Hampshire: The New Hampshire Coloring Book offers history and images of many iconic places in NH while colorist can choose the color scheme, making it a unique coloring experience. 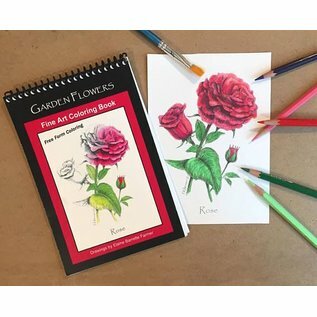 Garden Flowers: The Garden Flowers Coloring Book offers favorite flower images. 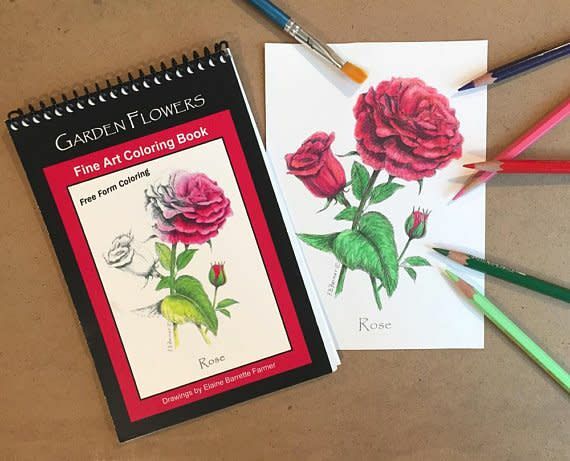 The colorist can choose the color scheme for each flower, making it a unique coloring experience. 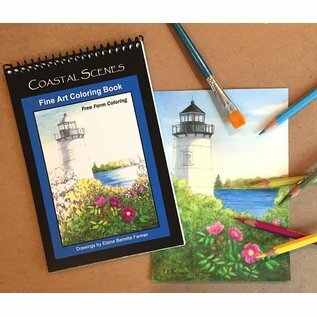 New England Coastal Scenes: Coastal Scenes Coloring Book offers history and images of many iconic places on the New England Coast while colorist can choose the color scheme, making it a unique coloring experience. 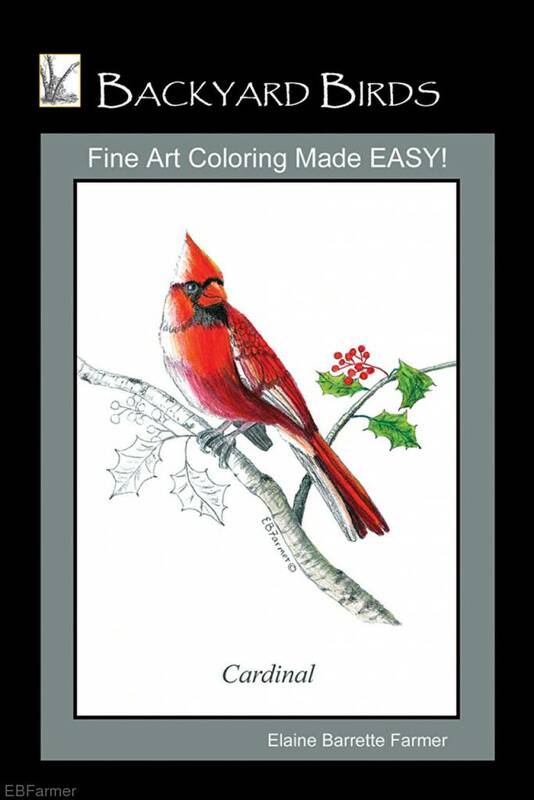 Backyard Birds: Backyard Birds Coloring Book offers curiosities and images of sixteen of the most popular backyard birds including the finch, cardinal and hummingbird. Colorist can choose to color the backgrounds of each, making it a unique coloring experience. "Elaine is a full-time artist living in Amherst, New Hampshire. 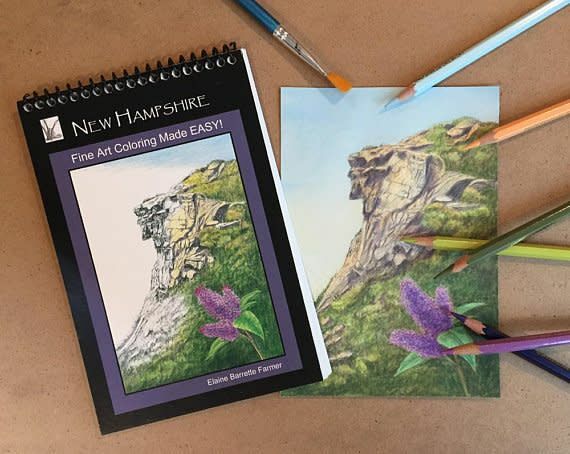 Elaine created the drawings for the coloring book series, originally used as coloring pages in an Art Therapy program for veterans that she conducted at the Manchester VA Center. The gray-scale drawings are a more desirable format for those unable to manage the confines of the many tiny geometric shapes found in most to today's adult coloring books."